Our shop at Hampton, VA has the latest auto body equipment to get your car looking as good as new and get you back on the road. 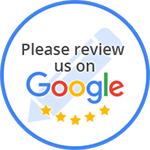 We pride ourselves in customer service & we work hard to ensure we provide the best customer experience in Hampton, VA. Welcome to Express Auto Body, where quality work is affordable and convenient. 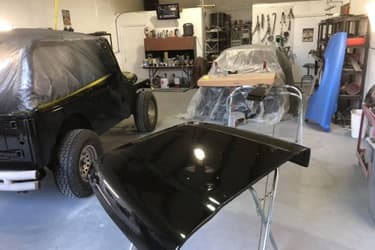 Express Auto Body in Hampton, VA prides its self with providing and delivering our customers the most convenient affordable high quality service. Most of our repairs are delivered the very same day. Express Auto Body only hires the best technicians who enjoy what they do and we use the highest quality of materials. 10% OFF on Collision Repair, Bumber Repair, Dent Repair, Scratch Touch Up, Headlights, & More! At a typical body shop there are typically 7 or 8 technicians who work on one repair. At Hampton, VA's Express Auto Body, our techs are trained from A to Z with body repair. This allows the technician to focus one 1 thing… YOUR CAR! Because our technicians are qualified in every aspect of body repair, this expedites the process of having to wait on other technicians who only specialize on one area and working multiple repairs. Why do we have the best technicians who will provide this service? Our technicians get paid per job, not by the hour. A lot of times the problem with hourly employees are that they get paid to drag their feet in making the repair you need done and when it is not correctly done…they still get paid to redo the repair at the customers expense. Our techs know everything they need to know about auto body repair, giving them the ability to repair and inspect your car from start to finish and cutting out on the wait time of other technicians.